Save.ca has a hot new coupon available today only! 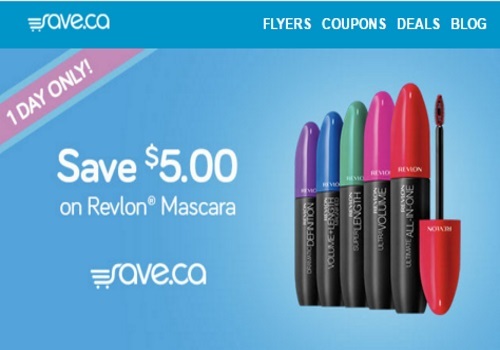 Get $5 off when you buy a Revlon mascara! This coupon expires May 1, 2016 and is available for print or mail.